Invitation on the left is sitting on a stand. It was made post card style. I’m having my Stampin’ Up! open house on July 11, from 1:00 – 4:00 p.m. Come join us! These are the invitations (on left) that I made for it. After making 10 of them, I ended up changing the date. So, I had some of the old ones laying on my craft table and got inspired to make it into a card. I was so pleased with it that as I pass the invitations out, I tell my guests that if they bring their invitation with them, we will turn it into a card. All supplies used are from Stampin’ Up! 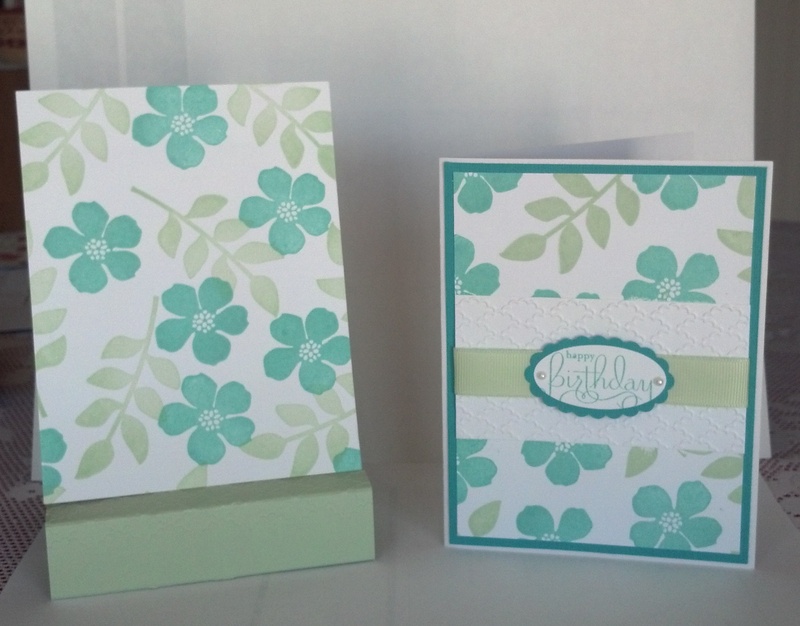 Stamp set: Secret Garden, card stock: Whisper White & Costal Cabana, Inks: Costal Cabana & Pistachio Pudding.